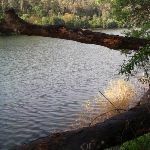 This walk offers a great way to see the Nepean River and marvel at the mouth of Glenbrook Gorge. Starting from Lapstone Station, the walk travels alongside the Nepean River to the junction with Glenbrook Creek. 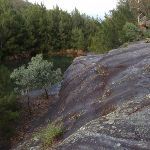 The area is filled with large boulders, pools and many neat spots to explore before returning to Lapstone. The historic town of Lapstone is the eastern-most town in the Blue Mountains. The small township has a railway station, which is shares with the bordering town of Leonay. The station offers a public telephone and toilet. There are no commercial facilities in the area. The name ‘Lapstone’ is said to have come from the ‘many water-worn stones in the area’, which resemble the lapstone used by cobblers when making shoes. From Lapstone Station, the walk heads down the hill away from the station and town. The track soon meets a management trail. Turn right: From the intersection, the walk heads downhill along the trail, keeping the station above on the right. The trail undulates a little then comes to an intersection with a track on the right, just before the trail starts to head downhill again (there is an old car wreck in the bush to the left). Turn right: From the intersection, the walk follows the single track away from the clear management trail. The track crosses the hillside and leads across the depression of a creek to rise onto a small ridge, and in intersection with a track on the left. Turn left: From the intersection, the track leads down the ridgeline, keeping the houses and railway behind and the creek below on the left. 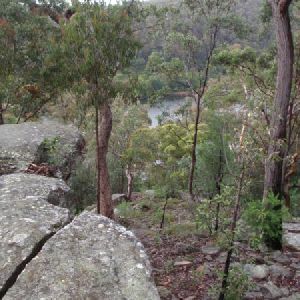 The track winds down the rocky ridge to a rock surface with a view over the Nepean River. At the end of this side trip, retrace your steps back to the main walk then Turn right. 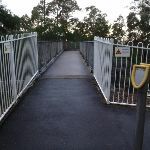 This informal and unfenced view point is just below Lapstone Station. There are stunning views up and down the Nepean River and across some farmland on the Cumberland Plain. A great spot to enjoy the views. 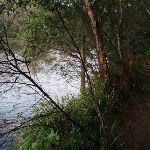 Continue straight: From the intersection, the track heads downhill along the management trail, tending left to keep the views of the Nepean River on the right. 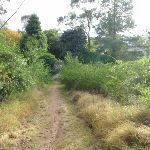 The trail winds down the hill past a large electricity tower and about 115 metres further, comes to a small track on the right, somewhat overgrown with vines (this is just before the creek crossing). Turn right: From the intersection, the walk heads down towards the Nepean River. The track winds and undulates for quite some time along the river, which it keeps to the left. The track then comes to a section of rock where an island-like stretch of land forms in the river on the left. 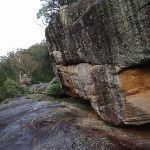 The track winds, climbs or walks above these rock formations, and comes to be above the junction of Glenbrook Creek and the Nepean River. Turn left : From the intersection, the track winds down the rocky outcrop, keeping the mouth of the Glenbrook Creek behind on the right. 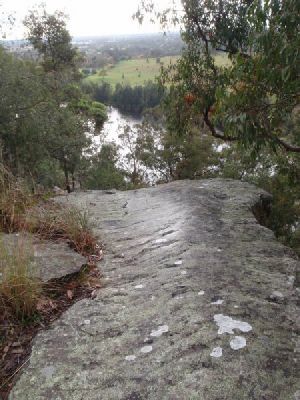 The track winds down through the rocks onto the island-like stretch of land in the Nepean River. 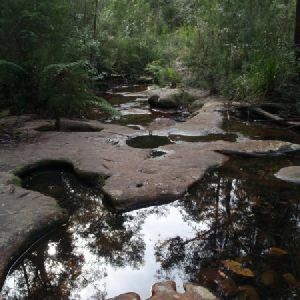 The track crosses many large round river stones which are slippery. The walk keeps the water close on the left as it heads out to the point. At the end of this side trip, retrace your steps back to the main walk then Veer right. 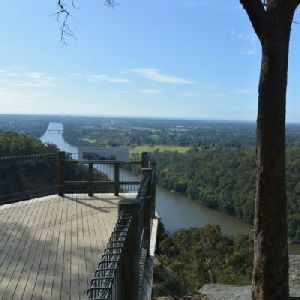 Nepean view point is an informal lookout which peers back down the Nepean River towards Penrith. The point is made from rocks deposited in the river and is now covered by trees and surrounded by reeds. Around 1km of this walk is very steep, whilst the remaining 610m has short steep hills. 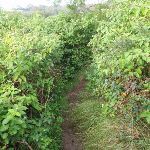 Around 1km of this walk follows a rough track, where fallen trees and other obstacles are likely, whilst the remaining 610m follows a formed track, with some branches and other obstacles. Around 1km of this walk has minimal directional signs, whilst the remaining 610m has directional signs at most intersection. This whole walk, 1.6km requires no previous bushwalking experience. This whole walk, 1.6km is not usually affected by severe weather events (that would unexpectedly impact safety and navigation). 1km of this walk has limited facilities (such as cliffs not fenced, significant creeks not bridged) and another 480m is close to useful facilities (such as fenced cliffs and seats). The remaining (120m) has limited facilities (such as not all cliffs fenced). 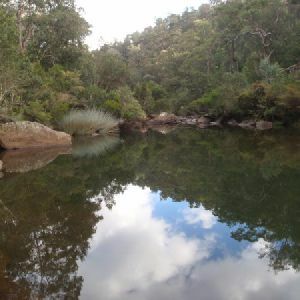 A list of walks that share part of the track with the Lapstone to end of Glenbrook Gorge walk. 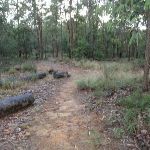 This short walk to Lapstone Lookout is easily accessed from Lapstone train station. 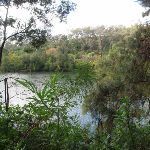 So next time you miss your train, take the short walk down to the lookout and view the Nepean River and surrounding lands. Lapstone Lookout is a great place to pass some time while enjoying a view. 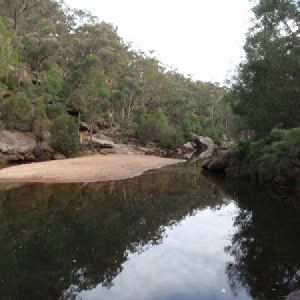 This two day walk covers large sections of the Glenbrook Gorge between the two train stations. 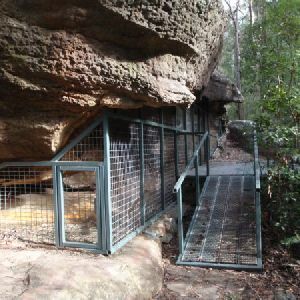 As well as winding through the gorge, the walk travels up onto the ridges to pass Red Hands Cave and camp the night at Darug camping area. The gorge section from the causeway to the Nepean River presents many opportunities to get your feet wet, too. This is a wonderfully picturesque and challenging walk. 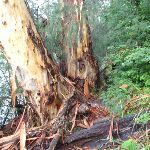 A list of walks that start near the Lapstone to end of Glenbrook Gorge walk. 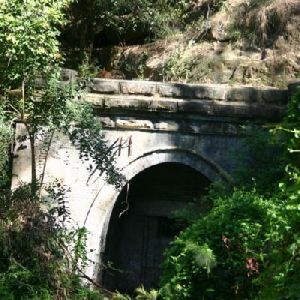 Although the train tunnel is closed to the public, this short walk does give you a view of the eastern (bricked up) entrance of the tunnel. The first half of the walk follows the sandstone cuttings where the train once went. For the second half of the walk to the tunnel, you walk on the Northern side of the cutting, giving you a view into the man-made gully. This walk is more about history than the bush, but it still gives great views. 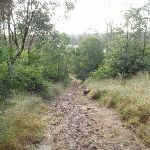 The walk explores a small section of the old Lapstone Zig Zag railway (not to be confused with the more famous Lithgow Zig Zag railway). 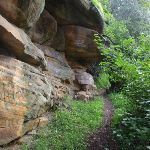 You will walk where the tracks once stood, through sandstone cuttings, passing an old train station, to the famous Knapsack Viaduct (bridge). This is a short walk to a spectacular view. 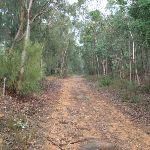 The walks starts with a pleasant drive along the dirt roads through the lower Blue Mountains. From the car park, the walk follows a short footpath to the fenced raised timber viewing platform. 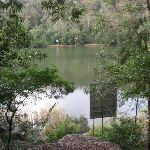 The views from the lookout are stunning and include Glenbrook Gorge, the Nepean River and Western Sydney over the Cumberland Plain. The lookout is accessible by people in wheelchairs. 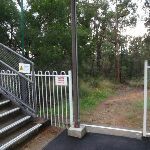 This two day circuit, returning to Glenbrook Station, is a scenic walk which passes many of the tourist attractions within the park. The walk winds through some wonderful valleys, and various natural and historic features, sleeping the night high on the ridge at Darug camping area. 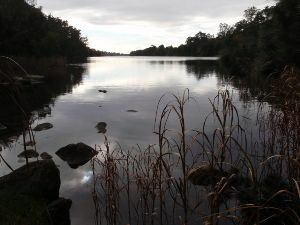 A great way to spend a weekend walking near Glenbrook. 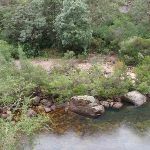 This walk starts from the Glenbrook information centre, just inside the national park and follows a well defined track down to the Glenbrook Creek and the gorge. The walk is popular with locals looking for a place to swim. The gorge is particularly dangerous after rain, so appropriate care should be taken. The creek, water holes and the high cliffs make this unique place a wonderful place to visit. 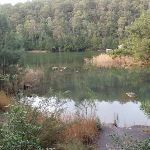 This walk visits the Jellybean Pools, a popular swimming hole and lovely area in Glenbrook Gorge. 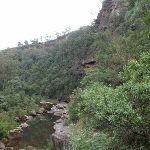 Starting at the Glenbrook entrance to the Blue Mountains National Park, the walk follows a well maintained track down the hill, crossing a road a couple of times to come to the Jellybean Pool. 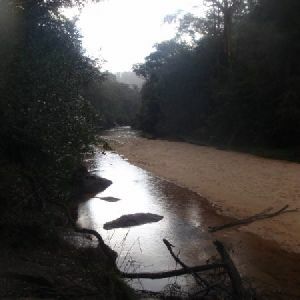 The river can be particularly dangerous after rain, so if in doubt check with the rangers. A great place to cool off on hot days. 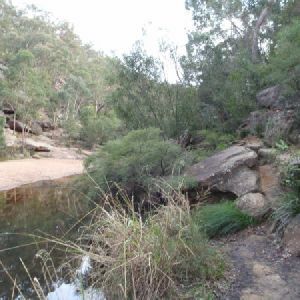 This walk takes you across Glenbrook Gorge and up Campfire Creek to Red Hands Cave. 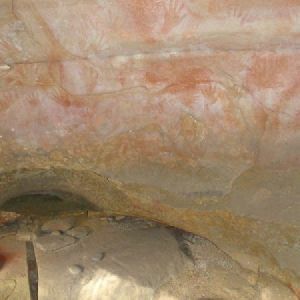 The walk is quite serene and you can enjoy some peace as you wander along the trail to the art in Red Hands Cave. The side trip to the grinding grooves is worthwhile to complement the cave art. 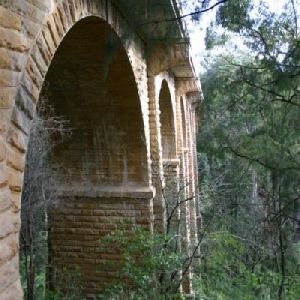 This short, pleasant walk, starts close to the Glenbrook entrance of the Blue Mountains National Park. The walk follows a staircase and track down to Blue Pool. The blue colouring of the water can vary in intensity, depending on water and weather conditions. 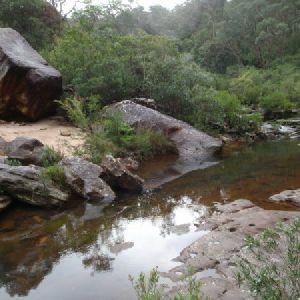 A popular swimming hole, this creek is particularly dangerous after rain, take care when swimming. This enjoyable walk leads to the beautiful feature that is Blue Pool. This natural pool can appear an amazing colour, and can be quite popular with swimmers. If Blue Pool is too crowded for your liking, there is an optional sidetrip which heads further up the creek to Glenbrook sandbar. The sandbar offers a sandy beach at a nice stretch of creek, also a pleasant spot for a dip. This short, pleasant walk takes you down to a naturally formed water hole, somewhat in the shape of a jelly bean. 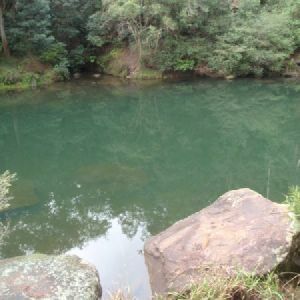 The picturesque swimming hole near Glenbrook is popular among locals. The track is well-defined and has staircases in steeper sections. The area can be particularly dangerous after rain, check with the rangers before venturing down. The start of this walk is found in the car park, by turning left about 200m after passing the toll gate at the Glenbrook entrance to the park. http://new.wildwalks.com/wildwalks_custom/includes/walk_fire_danger.php?walkid=nsw-bmnp-lstgg Each park may have its own fire ban, this rating is only valid for today and is based on information from the RFS Please check the RFS Website for more information.